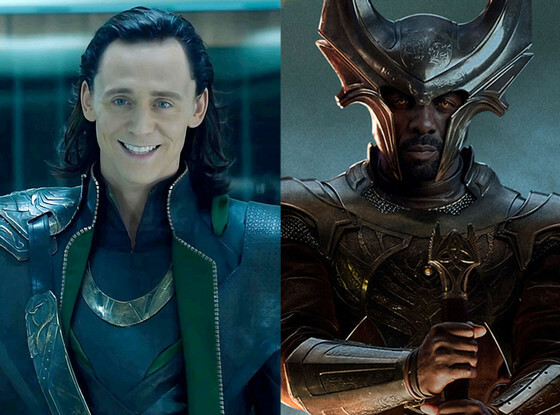 Idris Elba let it slip that he and Tom Hiddleston will be making an appearance in Avengers: Age of Ultron. It looks like we will get a scene with them during Avengers: Age of Ultron, it will probably be a small scene but I am sure I speak for everyone when I say we would love to see some more Loki. Avengers: Age of Ultron will be hitting theaters next May. Posted on November 3, 2014, in 2015 Movies, Avengers and tagged Avengers: Age of Ultron, Idris Elba, Loki, Tom Hiddleston. Bookmark the permalink. 2 Comments. Should be good! Nice post. Marvel seem to have squared right up to DC too!! Let the battle of the schedules commence!